In this guide we will go through how to create a virtual server with PRO ISP. This guide assumes you are already a customer at PRO ISP and have had a username and password sent to you to log in to the control panel. 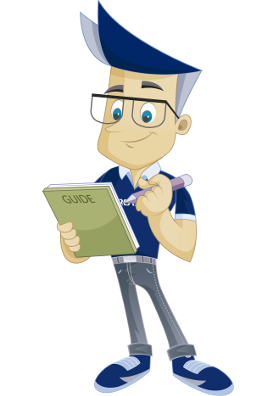 Be aware that the choices of operating system and resources in this guide is only an example, and you must choose whatever suits your needs the best. 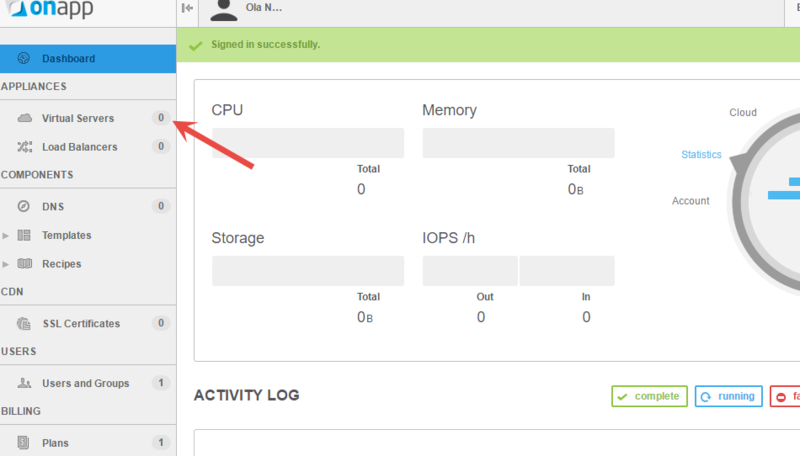 When you log on to OnApp via oncp01.proisp.no, you will see an overview of your entire cloud solution, and it is also from here we can create new servers. 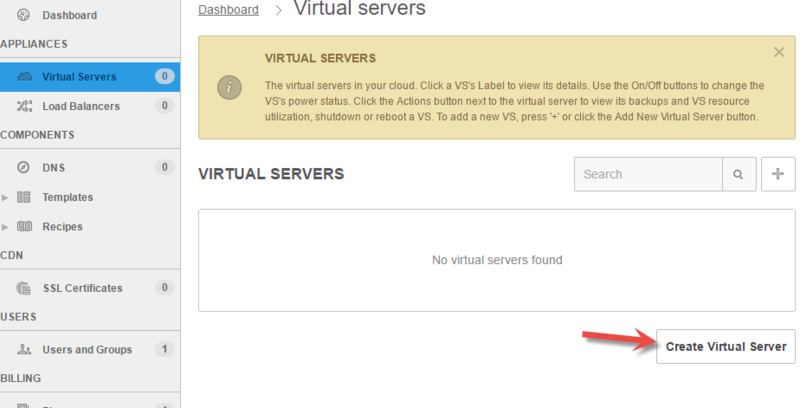 To create a new server, click on «Virtual Servers». Click on "Create Virtual Server". Click on Ubuntu 12.04 x64. Under the «Templates» menu you can see all the operating systems, and their versions, that are available in our solution. Type the name of the server below «Label»; This is the name you will see under «Virtual Servers» when the server has been created, and is only visible in the control panel. Type the name of the server under «Hostname»; this will be set as the name of the server internally in the chosen operating system. Type a password for the new server, twice. It is this password you must use when you want to log on to the server later. 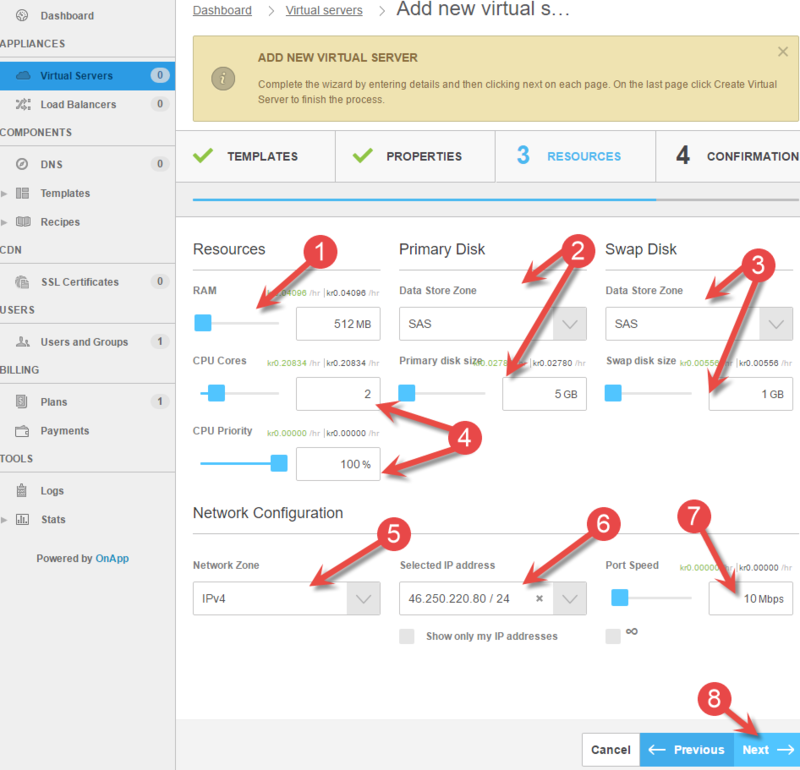 On the next page resources are dealt to the virtual server. RAM - Here, how much memory/RAM the virtual server should have is set. The operating system («template») you chose on the first page has a minimum requirement here, and you cannot go below it. In our example the requirement is minimum 256MB, and here we have raised this to 512MB. Primary Disk - This is the virtual server's primary saving/hard drive. First, you choose which «Data Store Zone» you want, and then you choose the size of the hard drive. Again, here the operating system will have a minimum requirement you cannot go below. Swap Disk – This is the virtual server's swap disk (memory exchange). In the same way as the primary hard drive, we can choose which zone and size you want. «Swapping» is usually not something we want a lot of, but it is necessary if the storage amount on the server isn't enough (when RAM is used up, the swap disk will be used as storage). CPU: Here we can choose «CPU Cores» (number of cores) and «CPU Priority». «CPU Cores» is how many actual cores you give the server access to, and «Priority» is how much of the core(s) that can be used. Det faktureres kun for antall kjerner så prioritet bør settes til 100%. Here you have to choose IPv4, since per today there is no support for having servers that only run IPv6. Notice that of course it is possible to add extra IPs later, both IPv4 and IPv6. «Selected IP address» shows a list over which IP addresses you can put on the server. Unless you have specific requirements you can choose the first one that comes up. Choose how fast you want your network connection to be. This can be set from 1-100Mbps. 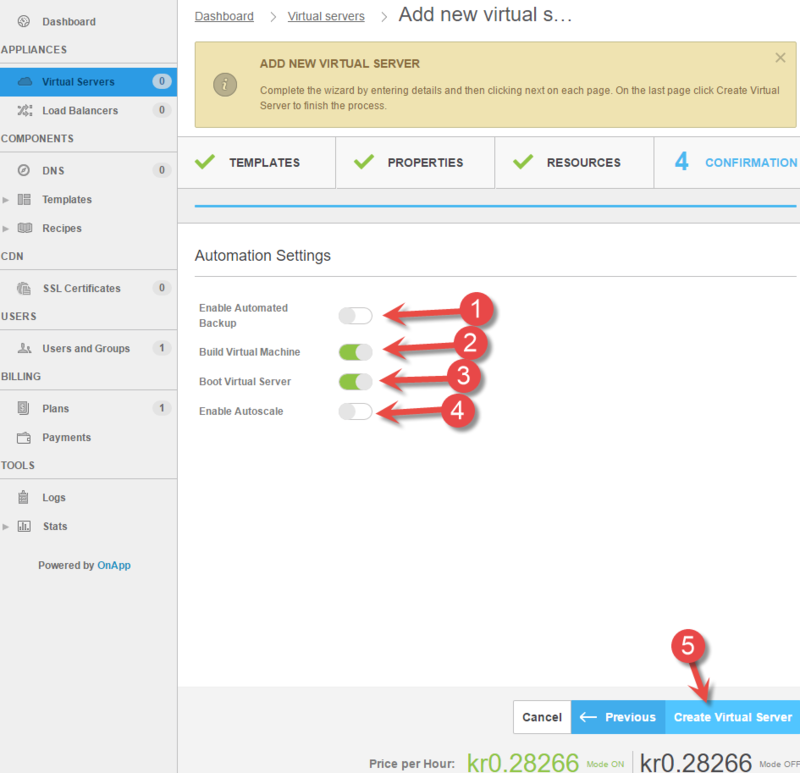 Tick this box to activate automatic backup of the virtual server. Backup can also be set up later, but be aware that no backup will be saved of the virtual server if it is not set up by your customer directly. Tick this box to build the virtual server when the guide is completed (meaning everything is made ready to start the server). 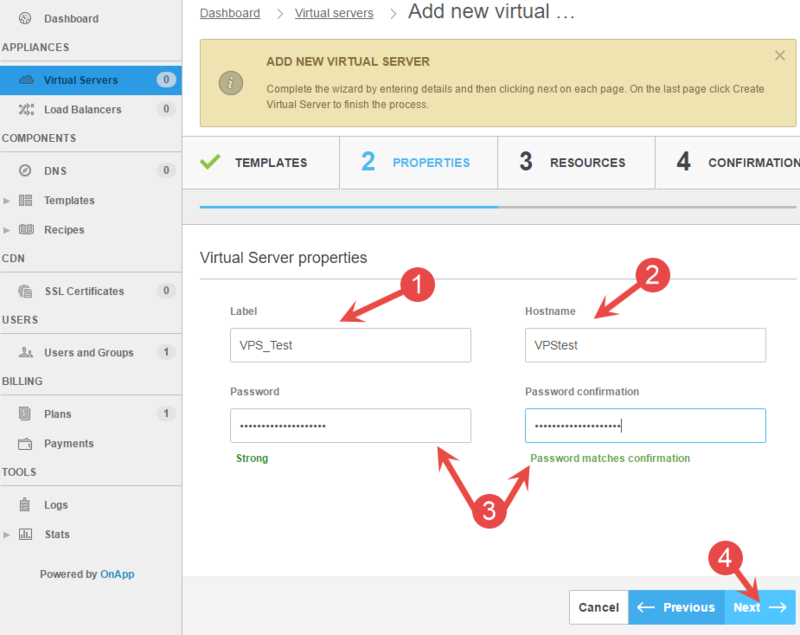 Tick this box to start the virtual server after it has been build. 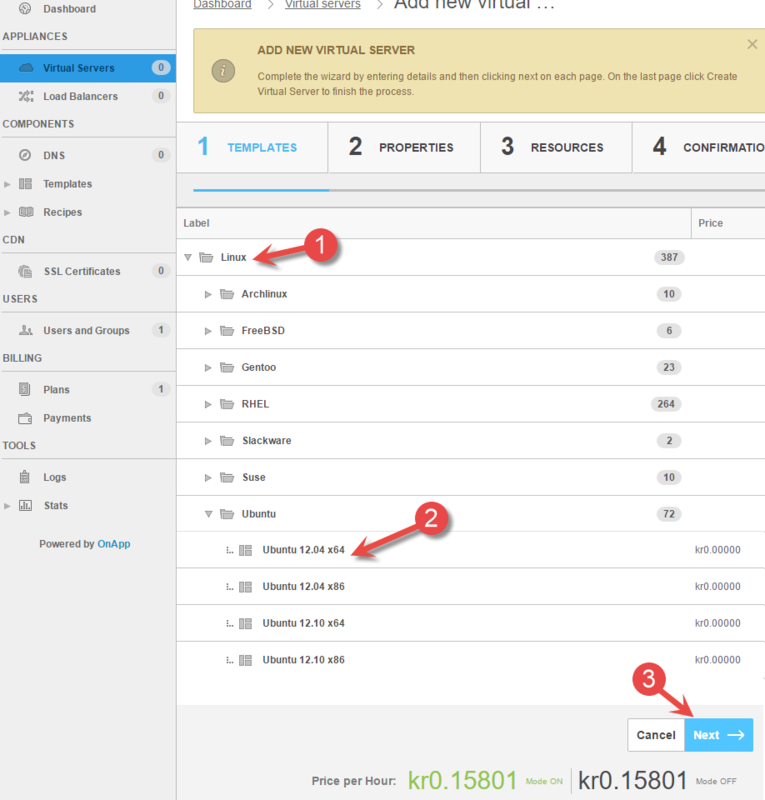 Click «Create Virtual Server» to create the new server. On the next page you will now see the information about the virtual server that has been created. 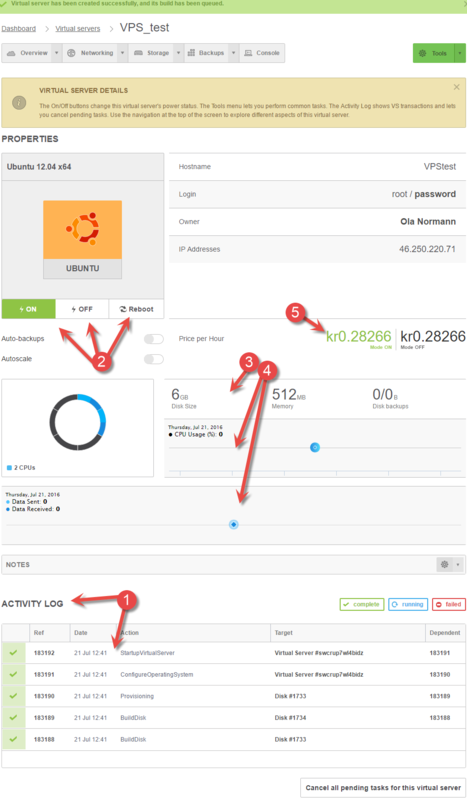 Activity Log shows info about what has been done with the server in the control panel. Here we can see that hard drives has been created, resources has been dealt (provisioning), the operating system has been configurated, and a virtual server has been started. Directly from the control panel you can also turn on, off and restart the server. Resources we have distributed will be shown here. The control panel gives a good indication about the use of resources relative to CPU and bandwidth (network). From the overview on the virtual server you will always be able to see what it costs to have the server, and the price is listed per hour. If you time the amount with 720 you get the monthly cost for the server (notice that the price of the server will vary depending on if you have used more than included bandwidth, I/O towards disk and other things). We have now been through how to set up a virtual server.